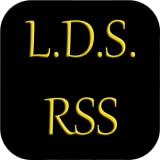 An aggregated RSS feed of your favorite LDS News Resources. * Note: Not affiliated in any way with the Church of Jesus Christ of Latter Day Saints. This is simply an easy to use collection of the RSS feeds offered by the church. Ads are placed within this app to help cover costs and nothing more. All listed feeds are available free of charge from LDS.org and other church websites. pmcc4w.org February 27 marked the gathering of different locales from northern Metro Manila cities to worship the Lord in the beauty of His holiness. Pastor Eva Quines, the Goshen Area Coordinator, was the introductory speaker for the seminar at Gregorio Elementary School, Caloocan City. Patmos Area Coordinator, Pastor Orly Ibarbia, was the one brought the enlightening words of God under the theme “Love Abounds in Knowledge ‘Till Christ Come” (Phil. 1:9-10). Fox News Attacks Google As Anti-Church? Posted by admin. Categories: Church. Tags: AntiChurch, Attacks, google, news. Comments Off on Fox News Attacks Google As Anti-Church?